Sandpiper Cat: Can you have 7 cats in the house & a live mouse? Can you have 7 cats in the house & a live mouse? I'm on the phone and all of a sudden I hear a bloodcurdling scream and a whole bunch of shrieking and yelling. I told the person that I had to go that something was going on downstairs and there was a bunch of screaming and I had to go check it out. Yes, we have a mouse in the house! It's hard to believe that the poor little mouse was still alive because we have 7 carnivorous cats on the prowl. Pearl, our white fluffy Turkish Angora, hadn't even come up for breakfast this morning, she must have known we had mice in the basement. After quickly shoving the horrified mouse into a tupperware, my mom brought little mousy outside and released him into the grass. He took off like a speeding bullet, surely shellshocked that he had been played with by our cat Henry. 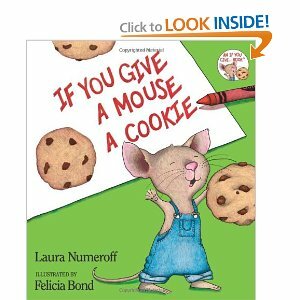 Aftering promptly posting about the mouse on the loose on Facebook, my cousin reminded me off the famous child book "If You Give A Mouse A Cookie." She said: "Are you going to bake cookies or take him to the movies?" 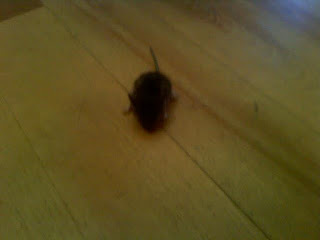 Hopefully mousy will be lucky next time that he finds himself in a house with animal lovers....and no cats! So the answer to the question is YES! You can have 7 cats in the house and a live mouse!